Enjoy the top 1 famous quotes, sayings and quotations by Yeasin Khan. I am down mentally. I can't understand how it happened and who is to blame? I don't know why the ground was rolled before the final which may have resulted in losing key players like Hemanta and Zahid due to the hardness of the pitch. Want to see more pictures of Yeasin Khan quotes? 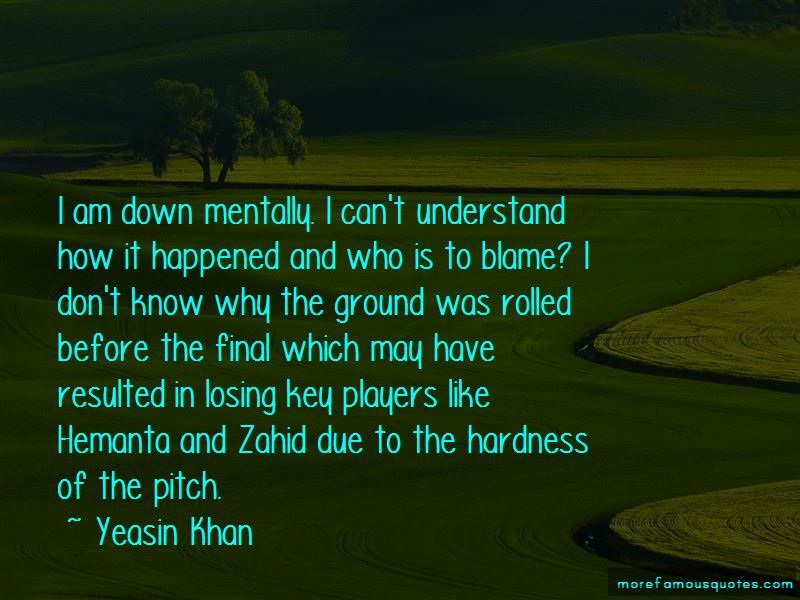 Click on image of Yeasin Khan quotes to view full size.